The band watches the drum major while they play the Hey song. What goes into a Friday night in the life of a marching band member? As it turns out, a lot. Behind the scenes, the evening begins with a pasta Friday dish prepared by band parents and makeup sessions for the color guard. 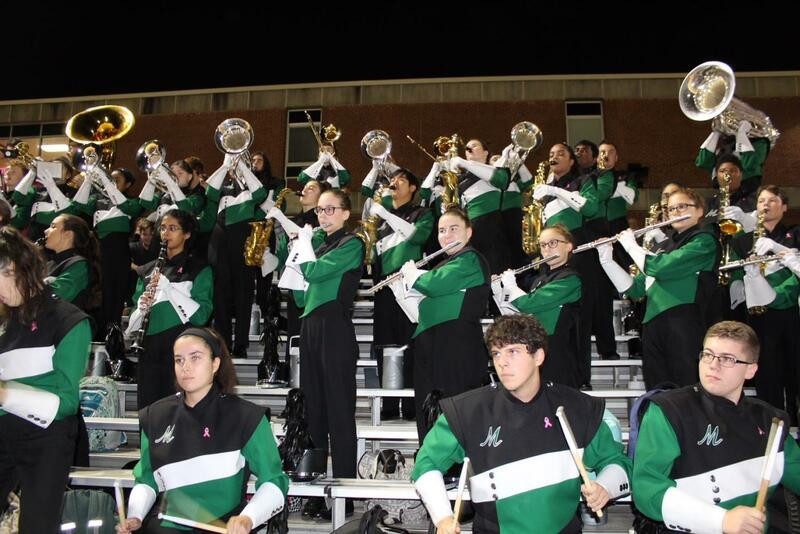 Amid the hustle and bustle of a football game, the marching band can be seen warming up for their halftime performance and playing the Hey song in the stands. They may also play the school’s fight song. An inside look at the marching band reveals how much time and dedication to the activity is required to be involved and just how much fun they have while doing it. 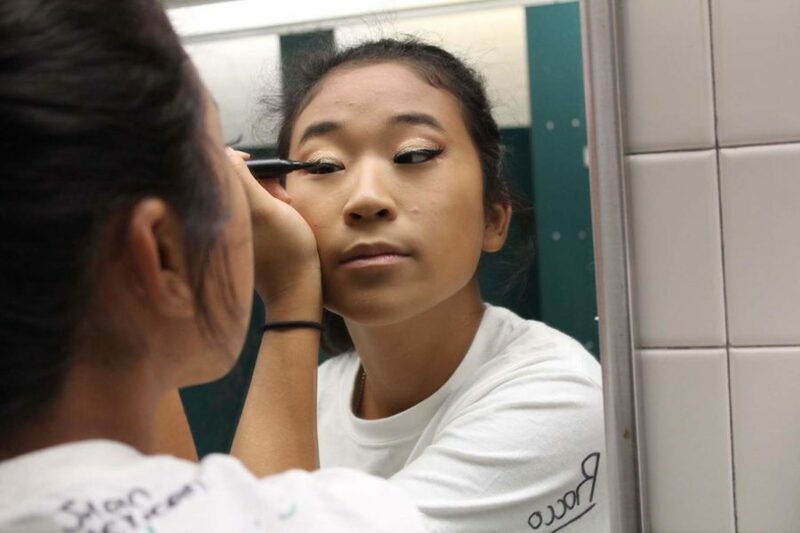 Color guard captain, Jen Chang, prepares for the night by putting on her show makeup.